The pack contains: 8 seeder substrate pads, 8 peat pots and 4 packets of seeds varied. The best way to start young and old in the care of your own kitchen garden. You'll get more than ten plants of each variety. - Created for young audiences, modern possessing new consumer habits. 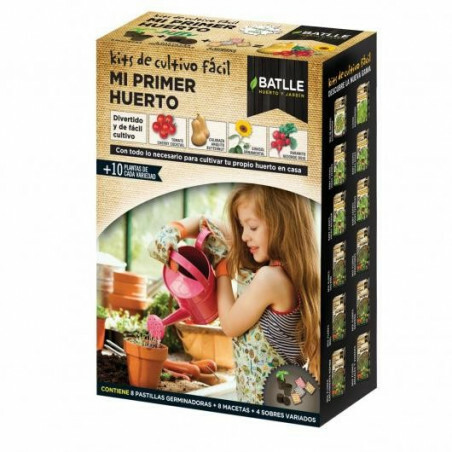 - Kits sustainable farming everywhere and with everything you need within each pack to make it very divertivo and easy to grow these varieties. - They are perfect for kids and the whole family gifts.